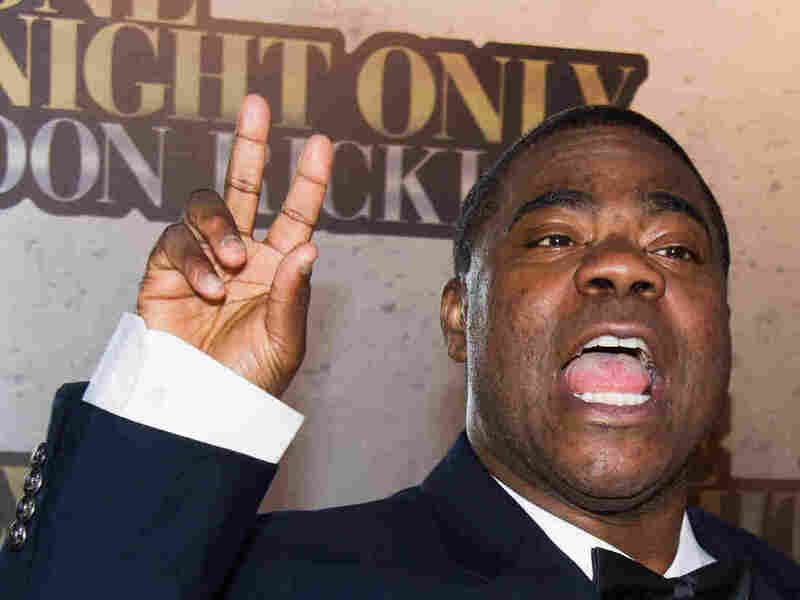 Tracy Morgan Sues Wal-Mart Over Truck-Limousine Crash : The Two-Way The comedian and television star of "Saturday Night Live" and "30 Rock" alleges negligence on the part of the retail giant, whose driver was exceeding the speed limit. Tracy Morgan attends One Night Only: An All-Star Tribute To Don Rickles in May, a few weeks before the crash that seriously injured him and killed fellow comedian James McNair. Comedian Tracy Morgan, who was seriously hurt last month when his limousine was hit by a Wal-Mart truck going 20 mph over the speed limit, is suing the retail giant for negligence. The complaint, filed Thursday in U.S. District Court in New Jersey, says that Wal-Mart should have known that the driver of the truck had been awake 24 hours and alleges that he fell asleep at the wheel. "'As a result of Wal-Mart's gross, reckless, willful, wanton, and intentional conduct, it should be appropriately punished with the imposition of punitive damages,' according to the complaint." "Morgan's lawsuit seeks a jury trial and punitive and compensatory damages. "In a statement issued Saturday, Wal-Mart reiterated that it was 'cooperating fully' in the ongoing investigation. "'We know it will take some time to resolve all of the remaining issues as a result of the accident, but we're committed to doing the right thing for all involved,' Wal-Mart said." The wreck on the New Jersey Turnpike killed fellow comedian James McNair, 62 and seriously injured 45-year-old Morgan, a former "Saturday Night Live" and "30 Rock" star and two others in the car, comedians Ardley Fuqua and Jeffrey Millea. Fuqua and Millea are also named as plaintiffs in the case.